What’s in a good business name? « Translator T.O. 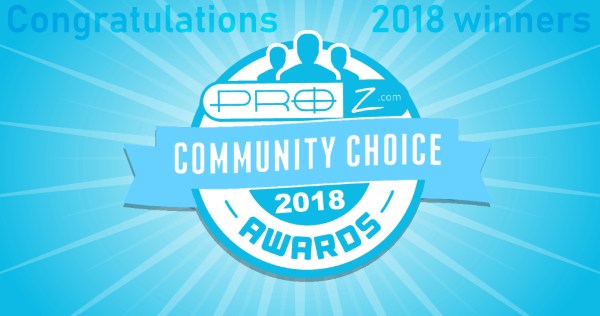 As a recent ProZ.com poll shows, while the majority of translators offer their services with their own names (68.5%), there are still professionals who choose to do business with a completely different name (22.4%) . 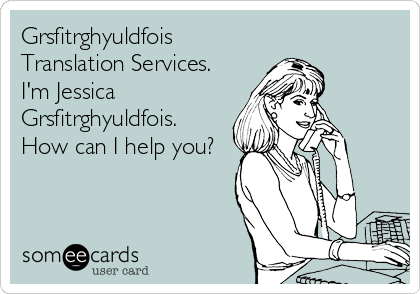 Some may go for an invented name, others may simply add the words “Translations” or “Language services” to their real names. Still, it seems that coming up with a good business name requires some thought and time, especially if you are just starting out in the business and still building up your professional identity. Define your client: decide the type of client you would like to attract (clients in a given field, clients in a given country, etc.) and think about what you want your client to understand from your name. Check competitors’ names: navigate the web and familiarize yourself with business naming trends and requirements. Would you need to add “Inc.” or “Ltd.” (or none!)? Would you call your business a “Bureau”? Use short, but powerful and descriptive words: make sure the word(s) you choose for your business name are descriptive enough and that the entire name is easy to spell and to pronounce. Check for name availability and similarity: confirm that the name is not already in use or that there isn’t a similar name that may be confused with yours. Check social media for profiles that may be using the name you want and possibly taken domain names. Check for possible translations and connotations: confirm that your name has the same connotation in other languages and that it is not considered offensive or vulgar in other countries or cultures. Narrow your options: try to come up with a list of 5-10 names and then narrow it down using the criteria listed above until you choose one name, a business name that you will have to use for the rest of your business life. Once you pick a business name, it’s time to let the world know that such business exists. Register your domain name and get your website running, get a logo and some business cards, invite clients and colleagues to network with your business. Choosing a good business name is one of the most important branding strategies you will have to apply when creating your business image, business presence is what comes next. Do you have a business name? Please share it below! Thanks for this great blog entry, Lucia! Firstly I have to admit that I didn’t make a thorough search and just invented this name due to my career path and knowledge. Wanted that all potential clients know that my market entry and professional knowledge slightly deviates from the classical path of a translator. My solid knowlegde base is a successfully completed study of business administration and later experience in middle management of trade, international lease and banking as well as consulting. Language knowledge is based on the elective subject Business English (seven certificates available, eighth semester no exam was offered) and later work experience. Therefore I wanted to signalize clearly: Translation projects welcome in these fields and the later on developped specialization fields. Will do a thorough search, enhance my knowledge and provide the best translations available. Due to hard work and a steady learning process I am now even able to accomplish defence/politics-related tasks. It also signalizes that there may be a bit of backlog demands in view of fiction and literature. The name “dkfmmuc” also is a hint to the physical location of my business and being a native sepaker of the German language. “MUC” is simply the 3-letter-airport denomination of Munich. Also I can try to secure the contents and confidentiality of the texts translated by not using a passport photograph. So the clear message is quality delivered combined with the discreetness of a reliable outsourcer. Details like Tax ID are then stated with the E-Mails respectively on the invoices. But I think this acronym / combination of knowledge and base is fine! What do you think about it? Suggestions for improvement, slating reviews and appraisals welcome. I do have a business name, and went for it at the very start of my work as a freelancer: “Traducciones-Montevideo”. It is certainly nothing fancy or innovative; so why did I choose it? Because people looking (or googling, which these days is almost the same) for translations in Montevideo, will be almost certain to find my website under that name. Why the hyphen? Because otherwise I would not have been able to register ownership of the name with our Trademarks authority, since both are common words and not “brandable”. The two hyphenated words plus my logo allowed me to enter and get approval of the registration. So that is my story. Thank you for sharing the info and the story! I am convinced that this is a great trademark. Two main advantages: High visibility on search engines as well as communicating that you are living there and also have insight to the local culture and terms. I learned that sandersontranslations is very long to write/type out in email and web addresses, but other than that I am OK with my (unoriginal) trading name! I just used my name and added translation so that becomes Colditz Translation. Website and email are with a hyphen. As a customer I would have problems with a name like “dkfmmuc”. I just would not remember the letter combination which makes it difficult to look for an email. So I opted for the safe and boring version of using my name. But then customers remember who translated their last text and come back. I am considering, however, to have the German version as a second brand name: Colditz Übersetzungen. Again, not very original, but I found out that for some German customers even the word “translation” is difficult to write or to remember.